Iran is complying with the landmark nuclear deal it sealed with major world powers in 2015, according to a report from the UN watchdog seen by AFP on Friday. The International Atomic Energy Agency addressed key limits set under the agreement, which is under intense scrutiny after the election of US President Donald Trump. 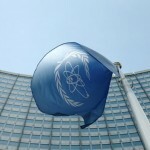 The report said Iran is not pursuing construction of its existing heavy water research reactor and has not enriched uranium above an agreed 3.67 percent-limit. And Iran’s stockpile of low-enriched uranium — which can be used for peaceful purposes, but when further processed for a nuclear weapon — was 101.7 kilos (225 pounds), well below the agreed level of 300 kilos. Senior diplomats said that Tehran recently came close to reaching the limit. Another key condition concerns Iran’s level of so-called heavy water, a modified form of water used in certain types of nuclear reactors. 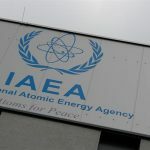 The IAEA’s latest report said Iran has not exceeded the permitted level of 130 tonnes, as it did briefly during previous periods. Plutonium for use in nuclear weapons can be extracted from fuel rods used in heavy water reactors. In November 2016, the atomic watchdog noted that Iran had crept above the 130-tonne limit. 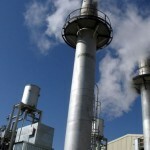 Tehran shipped out the excess amount and its current stock was just above 124 tonnes, the latest report said. 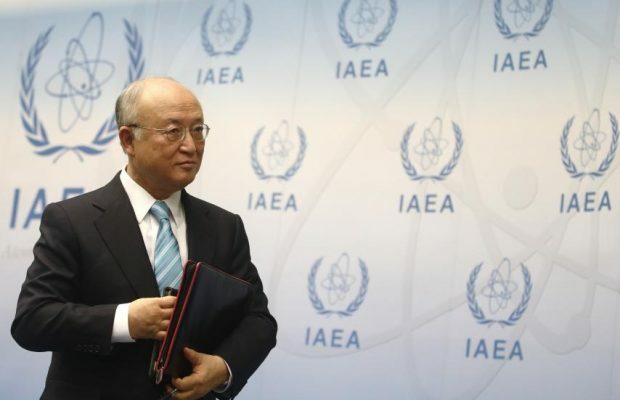 “Iran has not conducted any uranium enrichment or related research and development activities” at its Fordo nuclear plant, the IAEA added. Verification has continued as agreed, according to the UN watchdog’s fifth quarterly assessment since the pact was struck. Under the accord, Iran dramatically scaled back nuclear activities to put atomic weapons out of its reach — an aim Tehran always denied having — in exchange for the relief of crippling sanctions. The agreement extends to at least a year the length of time Tehran would need to make one nuclear bomb’s worth of fissile material — up from a few months prior. Steps taken by Iran included slashing by two-thirds its uranium centrifuges, cutting its stockpile of uranium — several tonnes before the deal, enough for several bombs — and removing the core of the Arak reactor which could have given Iran weapons-grade plutonium. But the pact, endorsed by the European Union, has been on shaky ground since the inauguration of Trump, who on the campaign trail last year called it the “worst deal ever negotiated”. Tensions between Iran and the United States have been backsliding for months but worsened after Tehran carried out a missile test on January 29, followed by army drills. The White House responded by slapping fresh sanctions on Iran’s weapons procurement network. Tehran insists that its military power is for “purely defensive” purposes. Next Story → Do American media under Trump enjoy freedom?